This post offers you one simple tool to quickly transfer MP4 to iPad and convert the unsupported MP4 to the supported format on your iPad. Download AnyTrans to easily copy MP4 and other media files to your iPad after reading this tutorial how to transfer MP4 to iPad. Ready for iPad Pro! The synced MP4 videos always can be played in "Videos" app on your iPad or iPhone. 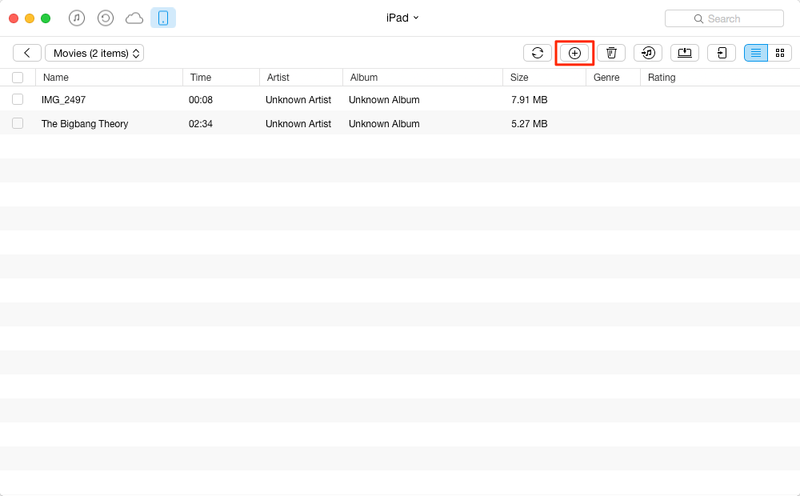 However, there are some MP4 files that you cannot add to iTunes and sync to your iPad for playing. In this case, you have to download some convert app to convert them to iOS supported format and then sync them to your iPad. So the process to transfer unsupported MP4 files seems a little bit complicated. In this post, to make transferring quick and simple, we offer you an easy-to-use iPad transfer tool, which you can use to transfer unsupported MP4 files to iPad and convert them to iOS supported format at the same times. And this method is also available to transferring MP4 or other media files to your iOS devices (iPhone iPad iPod touch). It is an iPhone/iPad content managing software named AnyTrans. Transferring is just one of its powerful features. With this tool, you can transfer movies, songs, pictures and other 10+ types of files between computer and Apple mobile devices (iPhone iPad iPod touch). And when transferring, some iOS unsupported files can be automatically converted to supported format. 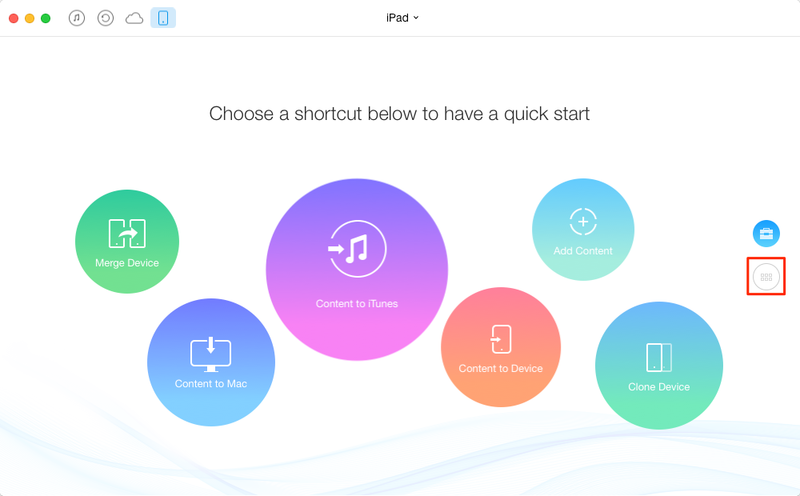 So if you cannot sync MP4 to your iPad with iTunes, you can try this tool. AnyTrans provide you 7-days free trial, so let's download it to your computer and have a try by following the step-by-step tutorial below. Step 1. Run AnyTrans, and connect your iPad to computer. Click the button at the right hand as below screenshot shows. Step 2. Click Videos and select Movies. Step 3. Click “+” button, and select the MP4 file on your computer, and click Open to start transferring. 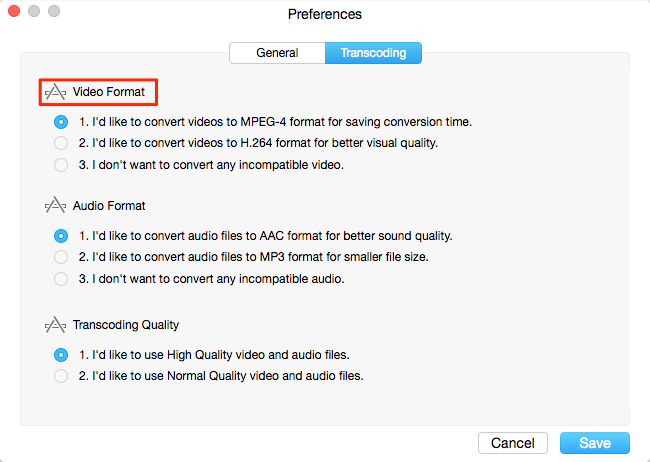 On Mac: In AnyTrans menu bar > Preference > Transcoding > Video Format. On Windows: On AnyTrans homepage, click on the Settings area in the top left corner > Transfer Settings > Transcoding > Video Format. With AnyTrans, all of the converted MP4 files will be transferred to iPad Videos app. 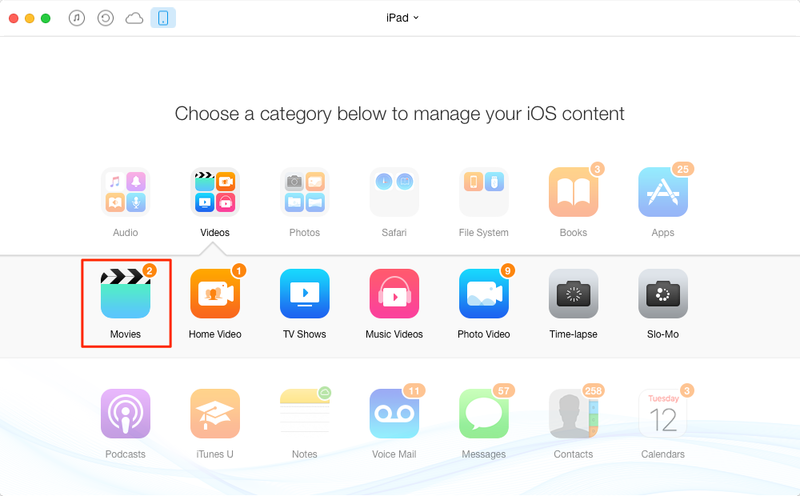 Now you can open Videos app and enjoy the MP4 videos if you have downloaded AnyTrans and got the files from your computer to your iPad by following the steps above.